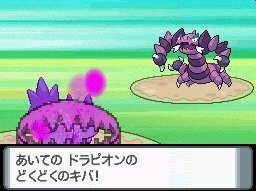 In the past few games, the strength of the Pokémon's attack is dependent on either its Physical Attack or Special Attack and their defense against attacks with Physical Defense and Special Defense. The Physical and Special aspects were determined by type. Physical being Normal, Fighting, Flying, Poison, Ground, Rock, Ghost, Bug & Steel and Special being Water, Fire, Grass, Electric, Psychic, Ice, Dragon & Dark. Thunderpunch 15 75 100 An electrified punch that may paralyze the foe. Fire Punch 15 75 100 A fiery punch that may burn the foe. Ice Punch 15 75 100 An icy punch that may freeze the foe. Hyper Beam 5 150 90 Powerful, but leaves the user immobile the next turn. Swift 20 60 -- Sprays star-shaped rays that never miss. 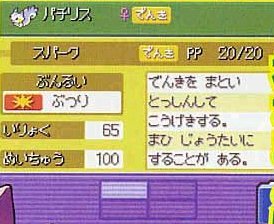 Charm 20 -- 100 Charms the foe and sharply reduces its ATTACK. Sweet Kiss 10 -- 75 Demands a kiss with a cute look. May cause confusion. Mimic 10 -- 100 Copies a move used by the foe during one battle. Bone Rush 10 25 80 Strikes the foe with a bone in hand 2 to 5 times. Grasswhistle 15 -- 55 Lulls the foe into sleep with a pleasant melody. Leech Seed 10 -- 90 Plants a seed on the foe to steal HP on every turn. Magical Leaf 20 60 -- Attacks with a strange leaf that cannot be evaded. Poison Sting 35 15 100 A toxic attack with barbs, etc., that may poison. 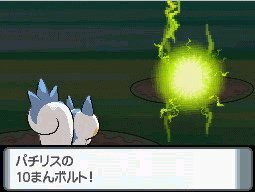 Spark 20 65 100 An electrified tackle that may paralyze the foe. Psybeam 20 65 100 Fires a peculiar ray that may confuse the foe. Reflect 20 -- -- Creates a wall of light that weakens physical attacks. Shadow Claw ? ? ? ?